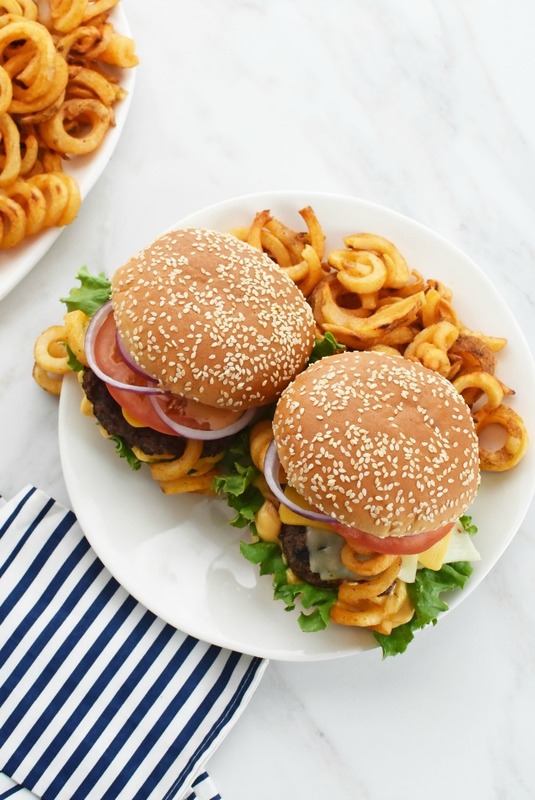 This cheeseburger recipe is a cheesy upgrade to a favorite American classic. A perfectly seasoned flame grilled patty topped with 4 melty cheeses and curly fries tucked into a fluffy bun. 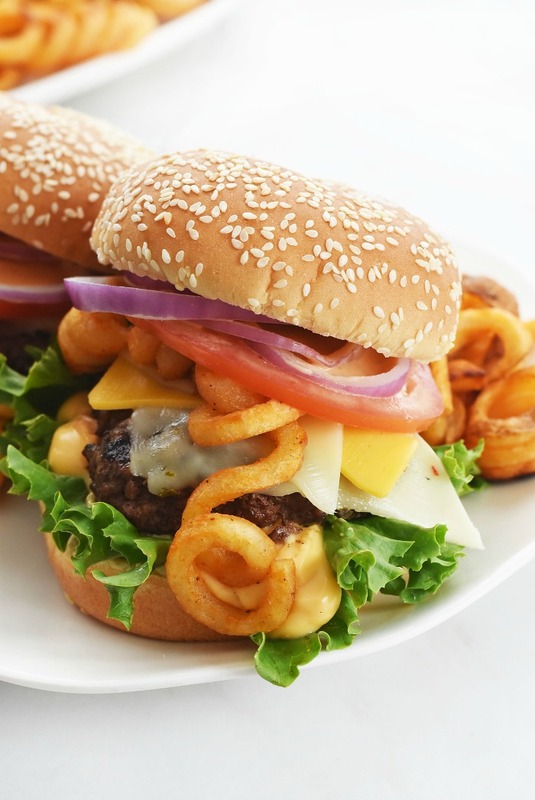 This Ultimate Cheeseburger is a meal in itself–perfect for baseball season! The warm weather has arrived and that means it is grilling season, baby! We love to grill now more than ever since our grill is just a few steps outside our patio area. Our favorite grilled meal for game days and beyond are cheeseburgers. We love purchasing ours from Walmart for a great low price! 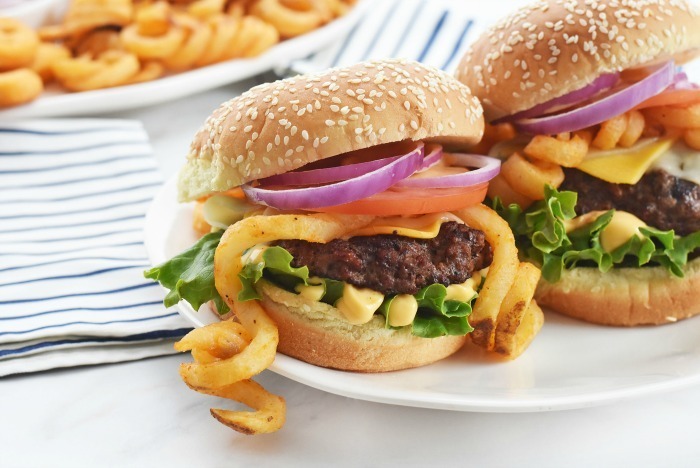 Actually, speaking of low prices, now-5/31/19, you can get $1.50 off when you purchase 2 participating McCain products at Walmart. You can submit your rebate & learn more details here. But, not just any old cheeseburgers–Ultimate Cheeseburgers! We are a cheese loving house so we thought it would be delicious to add not one, two, or three, but FOUR cheeses to our burgers! 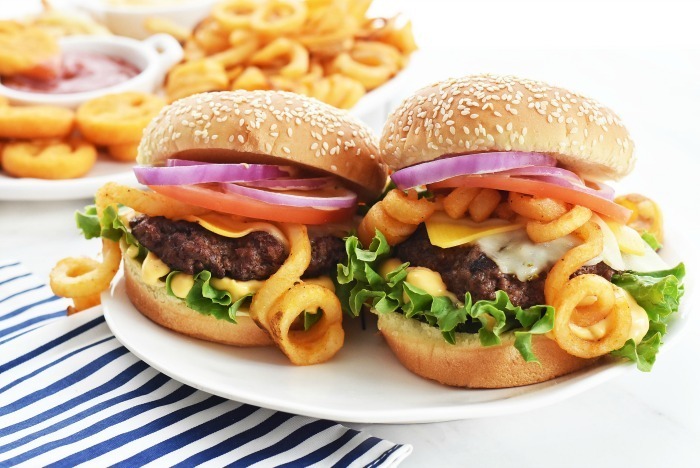 Plus, to really make this these Ultimate Cheeseburgers we added McCain® Seasoned Curly Fries Seasoned Potato Fries to each! Talk about a match made in foodie heaven! Burgers can be topped with pretty much any cheese in existence! However, we prefer the following cheese for a perfectly melted, tasty experience. 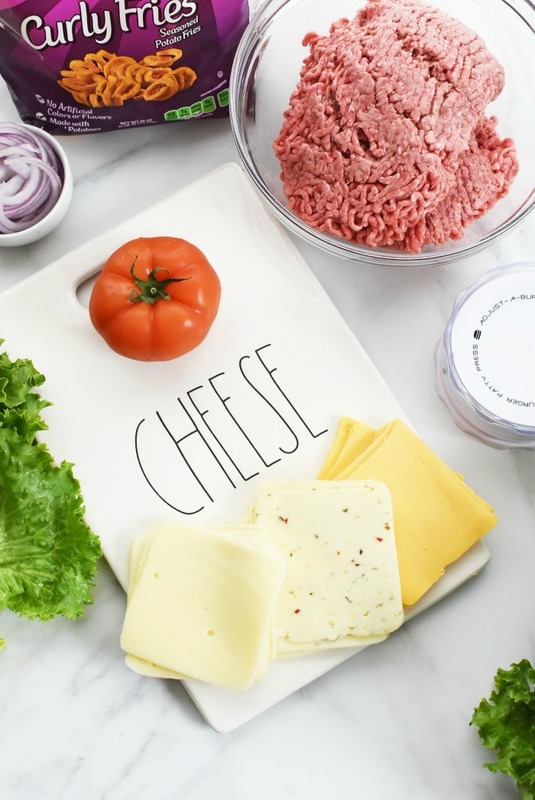 Ok, so now that you know what our favorite cheeses are, let’s explore the toppings we added to our Ultimate Cheeseburger recipe. 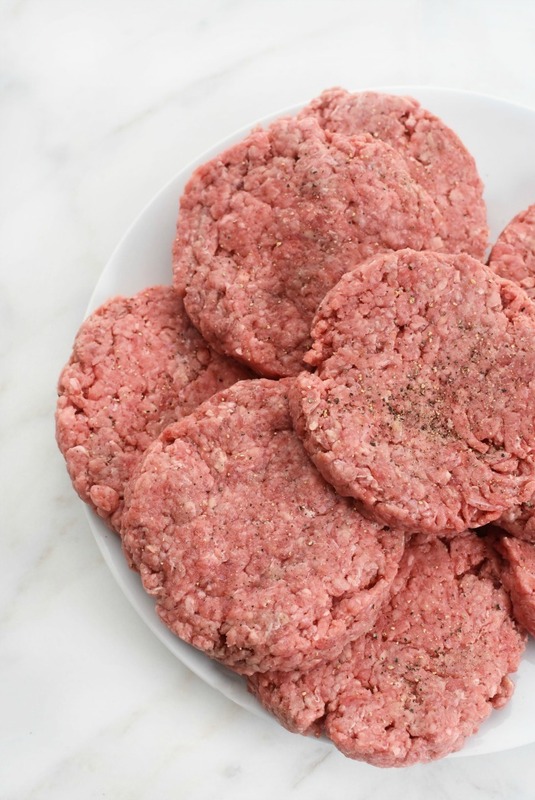 For the juiciest burger, you will want to use an 80/20 blend of quality ground chuck. 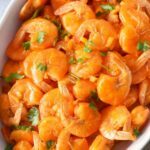 This will cause some flare ups with your grill due to the fat content, but will produce a juicy, flavorful burger that is not dried out! MCCain® products are our family’s favorite line of frozen french fries. 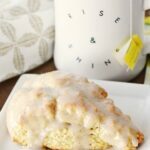 We love to oven-bake all their tasty varieties. 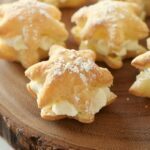 They are made with real potatoes that are perfect to pair with meals like cheeseburgers and more! 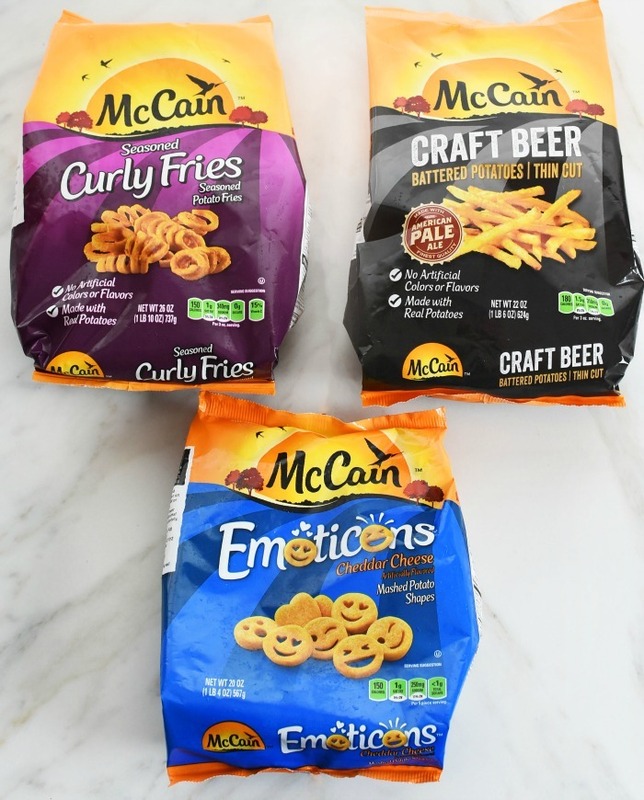 Our family loves the crispy outer of McCain products and feel like they truly are the best frozen french fries. The only grilled cheeseburger recipe you will need this spring & summer! 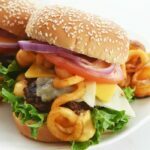 Loaded with 4 cheeses and the perfect add ons like McCain Seasoned Curly Fries! Press hamburger meat into 1/3 lb patties. Season all sides with salt and pepper. Grill burgers until clear juices run free or until your desired level of cooked. Bake McCain Seasoned Curly Fries until done. Line up buns and smear the top half with thousand island dressing. Line the bottom half with lettuce, and nacho cheese. Add the hot burgers to the lettuce with nacho cheese. 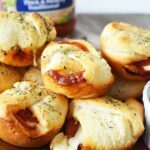 Top each with one slice of each of the 3 cheeses. Add 2-3 McCain Seasoned Curly Fries to each. Cover with top half of the bun and serve warm with additional fries. 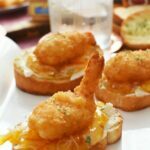 McCain Craft Beer Battered Thin Cut Fries – load them up with toppings like nacho cheese & more! 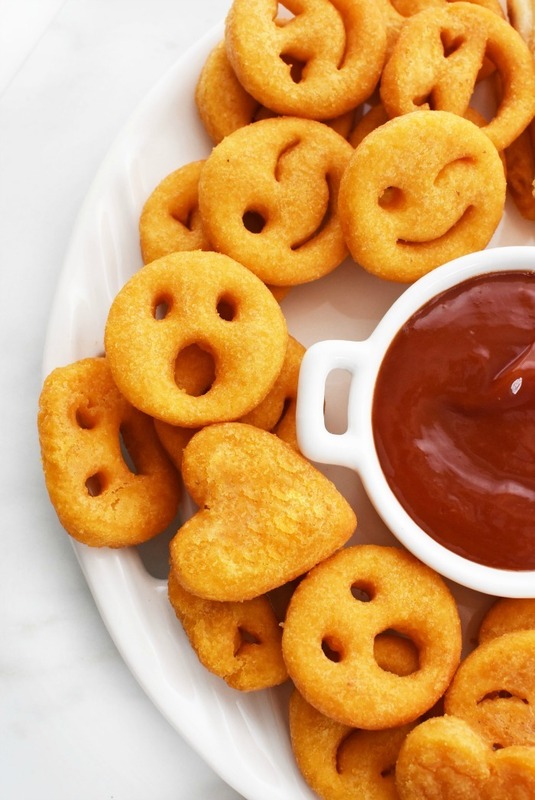 McCain Emoticon Cheddar Mashed Potato Shapes – fun, tasty shapes. 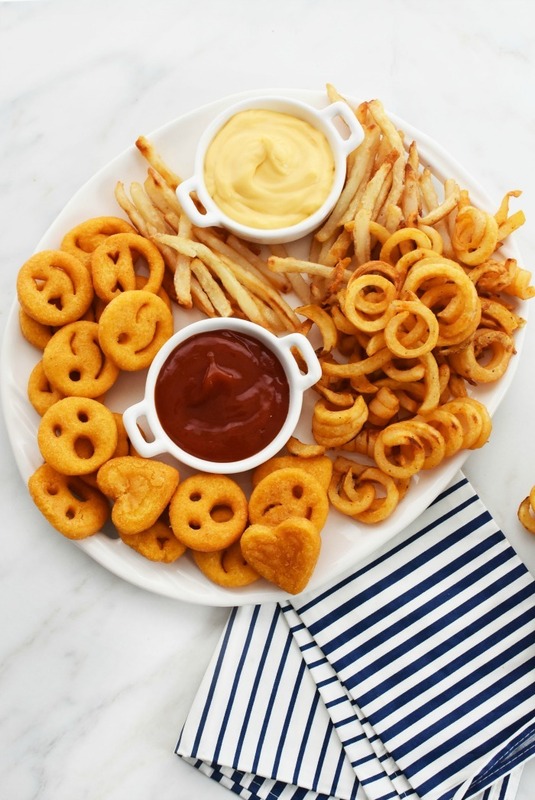 McCain Seasoned Curly Fries Seasoned Potato Fries – A Flavorful choice for inside or on the side of your next cheeseburger! I added a cup of ketchup and nacho cheese top dip our McCain products in. 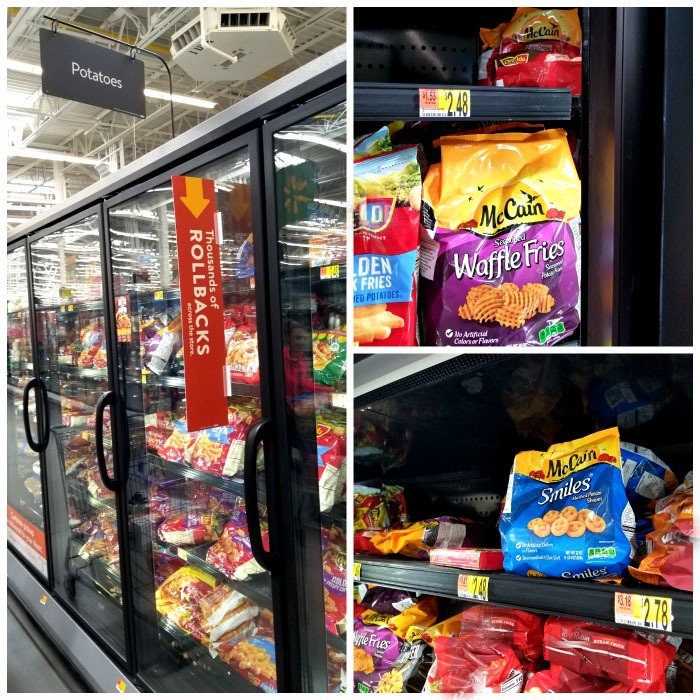 Find McCain potato products at Walmart in the frozen potatoes aisle. 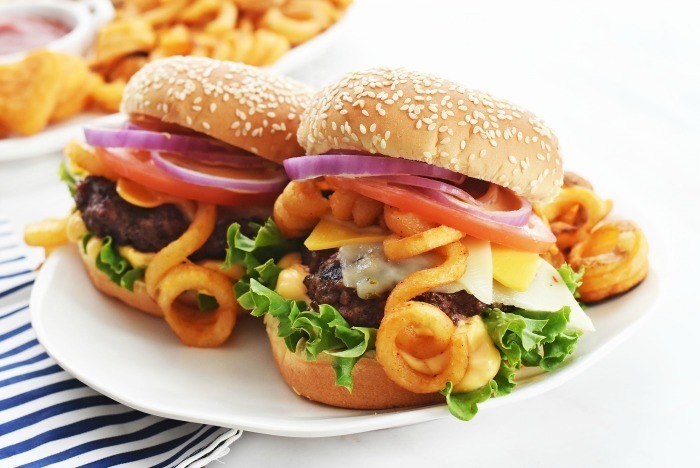 Pin these Ultimate Cheeseburgers for later!